A plan for financing a high-speed rail link between Moscow and St. Petersburg indicates that government spending on tracks for the project could reach as much as $35 billion. A version of the plan developed by the working group for the project has already been approved by the Finance Ministry and the Economic Development Ministry, general director of Russian Railways daughter company High-Speed Rail Lines Denis Muratov said, Gazeta.ru reported Thursday. The plan would split project funding between the government and private investors 70-30, with the base funds to be spent within 4 1/2 years, Muratov said. 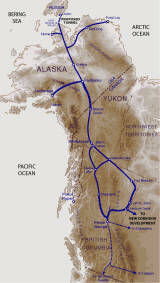 The plans must still pass muster with the government and the Transportation Ministry. The working group for the project had been considering two financing options, with another plan to split costs evenly between the government and investors. But experts said the 70-30 option would make the project easier to coordinate, if more expensive. 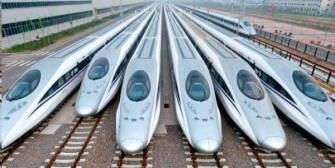 The government has made the High-Speed Rail Lines and other rail projects a high priority. At the end of April, then Prime Minister Vladimir Putin spoke strongly in favor of the project, adding that 5 trillion rubles ($161 billion) would be allocated over 10 years for railway infrastructure development. The 660-kilometer track will hurtle trains between Moscow and St. Petersburg at speeds of up to 400 kilometers per hour, making the trip in 2 1/2 hours one way. Construction is set to begin in 2013 and last until 2018, just in time for the 2018 FIFA World Cup football tournament. The fastest rail option between the two cities is currently Siemens' Sapsan trains that operate on the regular Moscow to St. Petersburg railway line, where they are limited to speeds of 250 kilometers an hour. The trip takes about 4 1/2 hours one way and costs between 1,840 rubles and 6,040 rubles ($59 to $193). 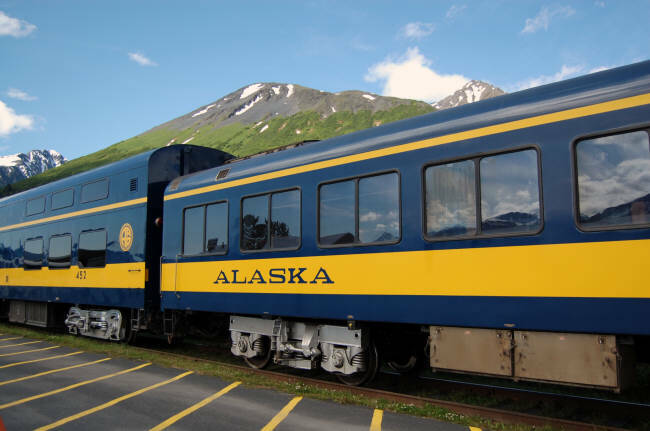 In April, Russian Railways president Vladimir Yakunin said a decision on whether or not to push ahead with another large-scale project to create a rail link across the Bering Strait should be made within the next several years. 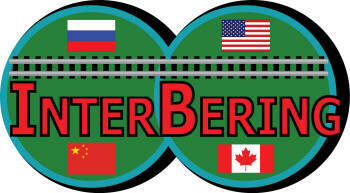 InterBering, an Alaska-based company promoting the project, said the proposed 103-kilometer tunnel would cost up to $30 billion to construct, which is $5 billion less than the current plans for government spending on the Moscow-St. Petersburg line.